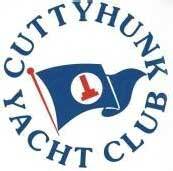 Sign up for the CYC Opening Day weekend and Boat Lugger Party. Reminder, be one of the first 5 adults (18 yrs old or over) or first 5 kids (18 yrs old or under) to RSVP and show up to Opening Day weekend and you’ll get a one-off Boat Lugger shirt FREE! Didn’t make the top 10 to RSVP? You can still get this limited edition shirt if you RSVP, show up for Opening Day weekend and pay $34. Please note: You have to show up Opening Day weekend to get the shirt. These shirts won’t be available for purchase to non luggers. June 20, 2016 2016 Classes Begin! June 22, 2015 Classes Begin!